Mayans had a very advanced knowledge of astronomy and keenly observed the movements of the celestial bodies. Based on this knowledge, they were able to create an elaborate calendar which predicted the days very precisely and is considered the most advanced, complex and accurate calendar of that age. Since the calendar had religious significance to the Mayans, time was also a religious concept which was explained through mythology. Because of this, a number of predictions were made by the standard calendar that was used by the Mayans. Mayans had an extensive knowledge of mathematics and based on their observations, they were accurately able to predict the movements of the celestial bodies. This is precisely what helped them build a calendar which was more accurate than the calendar currently prevalent in the world. Based on their calendar, Mayans predicted a number of future events. They also tried to find explanations of years past, for example some Mayan monuments claim to depict events of millions of years ago. One of the key predictions of the Mayan calendar has to do with the end of the world and it has been variously interpreted and misinterpreted in the year 2012. In 2012, it was claimed by many people that Mayan calendar predicted the end of the world. These claims and the purported predictions were based on the fact that the 5125-year long period of a Mayan calendar drew to a close in December, 2012. More exactly, December marked the end of the 13th Bak’tun, each Bak’tun being nearly a 400-year cycle in the Mayan time. Rumours had it that the end of the calendar also meant the end of the world. The book that reveals the creation mythology of Mayans, Popol Vuh, says that there has been three creation cycles before during which the world was created and destroyed. And that we are living in the fourth cycle. The Mayan Long Count calendar claimed that this fourth cycle began in 3114 B.C. and then it would end in December, 2012. However, the calendar or the Mayan mythology didn’t make claim of the end of the world to be expected on the said date. Rather, the date simply marked the close of the fourth cycle and progression of humans to the next cycle. Predictions made by the Mayans or claimed to be traced back to the Mayan calendar have been popularised in the modern era by New Age authors. Various interpretations to explain what would happen at the end of the Mayan calendar began to appear in the books of New Age authors as far back as 1975. Among these was the interpretation proposed which said that the end of the Mayan cycle and the beginning of a new cycle simply meant the transformation of human consciousness to a higher plane. Another interpretation forwarded by a New Age Author said that at the beginning of the Mayan calendar, in 3113 B.C., the Earth began its journey through a galactic synchronisation beam. The author claimed that the journey through the beam would complete by the end of the Mayan calendar and that, at this time, the beam would have achieved total synchronisation of humans. Another theory that built on the end of the Mayan calendar claimed that this end would be marked by a unique galactic alignment of celestial bodies. Most of these claims came from notable astrologers who tied their claims of an imminent galactic alignment with the end of the Mayan calendar. Consequently, a theory developed which said that due to the galactic events expected to happen at the end of the calendar, major changes are expected in the world. It was also claimed that the date marked the deviation in the movement of the Sun so that it would attract a huge body of comets into the solar system and thus leave Earth devastated by them. Based on the end date of the Mayan calendar, it was claimed that in December 2012, a mysterious planet called Planet X or Nibiru would pass very close to Earth or possibly collide with it. It was claimed that this was how the Doomsday would come at the end of the Mayan calendar. Astronomers debunked this theory right away. The facts that are drawn from Mayan mythology and contemporary Mayan experts say that the end of the Long Count calendar simply spelt an end of a cycle. And that consequently, this means that the world is entering into the next cycle. Apart from being a new time period, this next time cycle is also variously cited as a new age of heightened consciousness, improved spirituality and an overall better stage for humanity. On the other hand, all the claims of world ending on the day or a disaster being imminent were automatically debunked when December, 2012 passed without any catastrophic event whatsoever. The Mayan calendar is one of the most complex calendars from the ancient world. Mayans were brilliant mathematicians and their astronomical knowledge was remarkable. This enabled not just accurately predictions of events such as eclipses but also create a calendar which is one of the most accurate calendars created to date. The Mayan Long Count, a measure on the calendar meant to measure long eras of time, approximately lasts for 5125 years. The Calendar began in 3113 or 3114 B.C. and the end of the calendar was marked by December 2012. 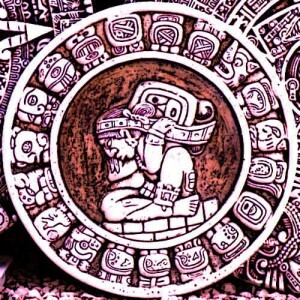 Whereas Mayan mythology simply claims that the end of the calendar marks the end of a time period or a cosmic cycle, many New Age authors and theoreticians made a number of claims regarding the date. Some said that the calendar predicted the end of the world, others said that this marked a galactic event which would have significant impact on the Earth. However, none of the claims were substantiated as the date came and passed without any problems.